McDonald’sMcCafe has a new lineup of Turtle beverages. 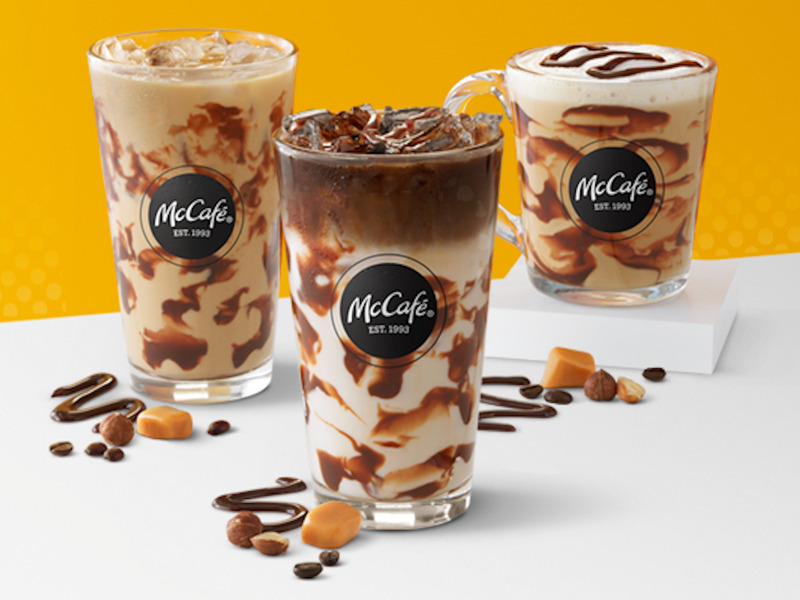 McDonald’s announced it is launching a new line of espresso-based beverages, flavored with chocolate, caramel, and hazelnut. The Iced and Hot Turtle Macchiatos, as well as the Iced Turtle Coffee, will hit menus in April and remain for a limited time. McDonald’s is building its coffee business, edging into Starbucks’ territory with more complex, espresso-based drinks. McDonald’s has a new beverage line as it ramps up its attempt to compete with Starbucks. On Wednesday, the fast-food giant announced plans to launch its new seasonal, “café quality” Turtle line. The Iced and Hot Turtle Macchiatos, as well as the Iced Turtle Coffee, will hit menus in early April and be available for a limited time. McDonald’sMcDonald’s new McCafe line, which launched in 2017. Drinks include the Iced Turtle Macchiato, a chocolate-caramel-hazelnut-flavored espresso drink; the Turtle Macchiato, a similarly flavored beverage made with steamed milk and espresso; and the Iced Turtle Coffee, an iced coffee mixed with chocolate, caramel, and hazelnut. In September, McDonald’s announced that it had added a new set of espresso-based drinks to the menu: the caramel macchiato, vanilla cappuccino, and americano. At the time, the company also announced a McCafé brand revamp, debuting a new logo and cups that feature a cleaner, more minimalist design, plus colours that will change based on the season. The Turtle beverage lineup shows McDonald’s following Starbucks down the path of crafting a menu with both more espresso drinks and sweeter beverages. Starbucks’ strategy depends on attracting both coffee snobs who want espresso-based beverages and customers who crave something sweeter and more creative. The two different types of more premium categories – both nitro cold brew and Crystal Ball Frappuccinos, for example – both allow Starbucks to charge more than a typical coffee shop. Now, McDonald’s is adopting the same strategy – but at lower prices. 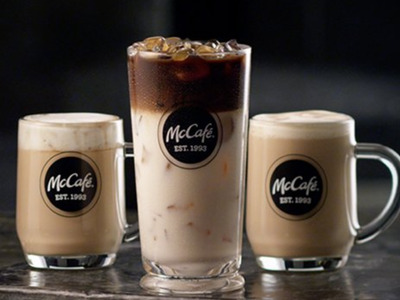 Currently, the fast-food giant has a deal that allows customers to purchase any small McCafé drink for $US2.